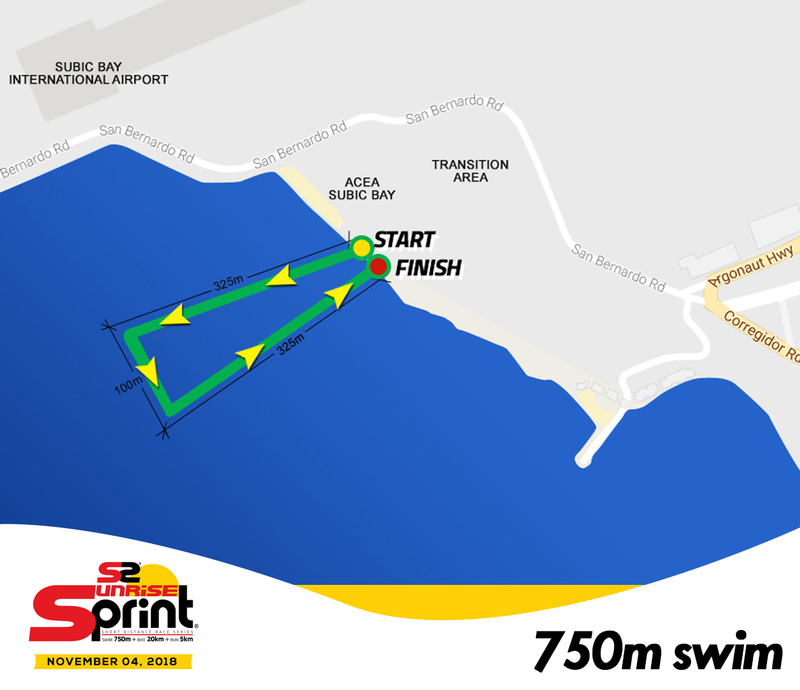 The Regent Sprint Distance starts with a 750 meter swim course, starting at ACEA beach following a counter clockwise flow. Its comprised of 325 meter, 100 meter and 325 meter. After completing the swim participants will the beach following the path to transition 1 at ACEA parking lot. From Transition area they will grab their bikes and head to the bike mount area in San Bernardo Road. 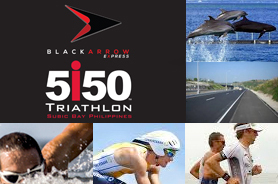 Participants start in ACEA Subic Bay, turn right to San Bernardino road then turn left to Argonaut Highway. 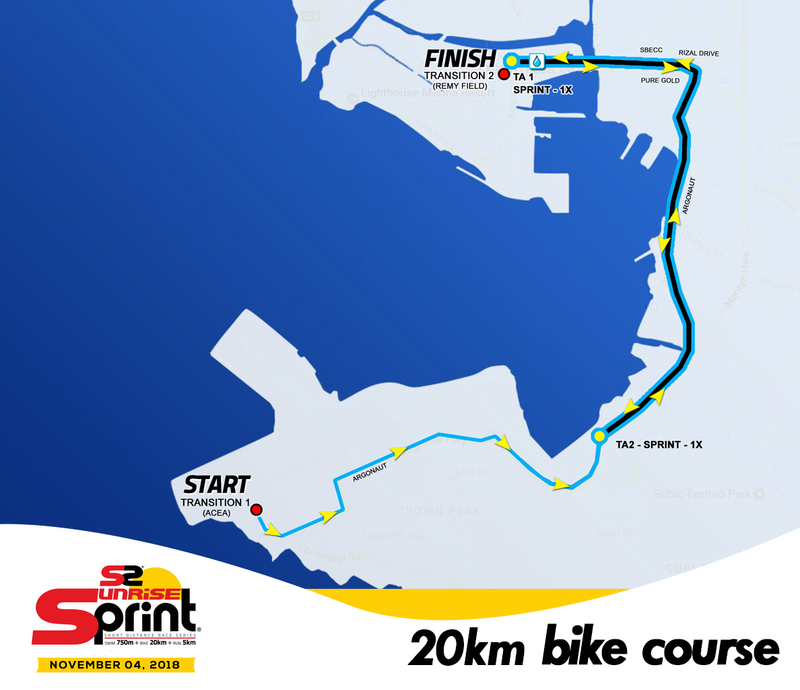 Participants will then head to Rizal Drive make a left turn and head towards Yacht club then make a turn aroundjust before Burgos Street at KM 9.They head back out and make a right turn at Argonaut, leading them to the second turn around at KM 14.5. After the turn around participants head back to Rizal drive turn left and head to Remy field for transition 2. 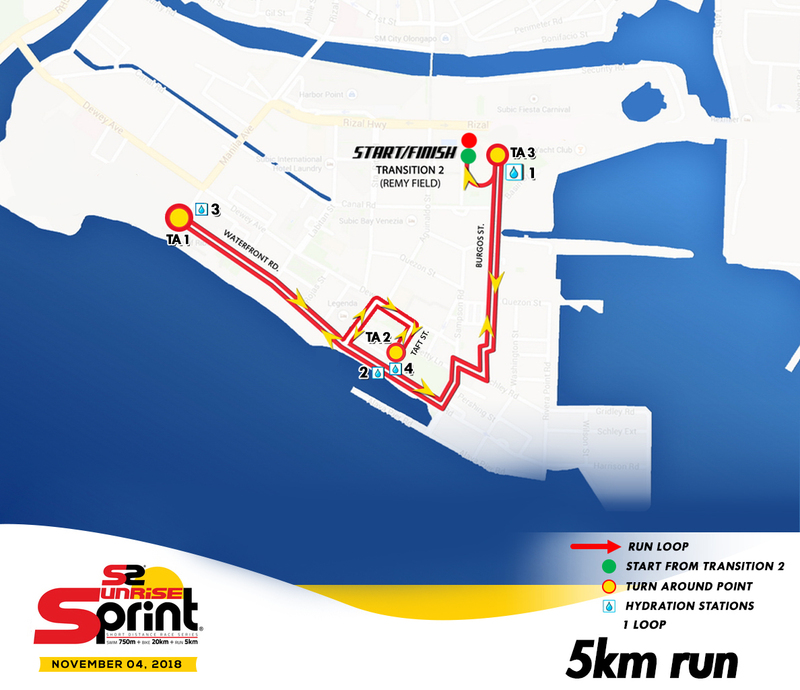 The Sunrise Sprint 5KM run will be a single loop out and back race course. Participants will exit Burgos Street then turn right and head to the Waterfront Road, then make a turnaround just before Manila Avenue. Participants will then take a left in Lincoln Street, then right to Dewey Avenue and then right at Taft Street then making a Turn around and head back to Waterfront Road. Participants will head back to Burgos Street and enter the finish line in Remy Field.